If you want to publish multi-page PDF documents in the Internet, it is reasonable to convert every PDF page into separate HTML file. In such a way your text content will be suitable for search engines rankings, and large volumes of information can be divided into logical parts. Also this approach is suitable for extracting required text fragments from the multi-page PDF document. 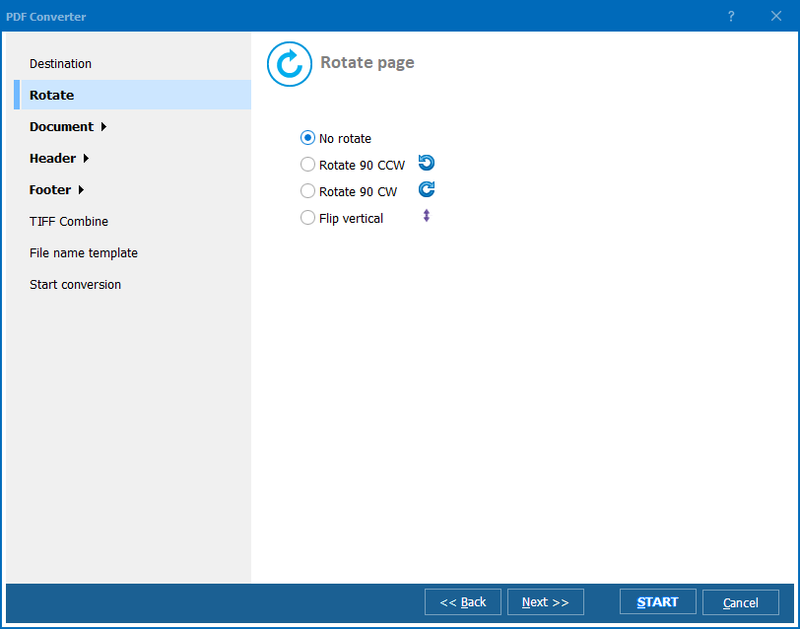 For this purpose you will need a converter that supports PDF to HTML mode and can process each PDF page separately. 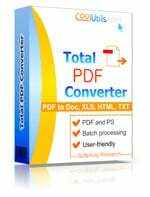 Total PDF Converter provides will all necessary functionality to perform adjustable HTML conversion from PDF files of any capacity. Thanks to handy interface you will quickly understand how to make all necessary settings to get HTML from PDF with required quality. 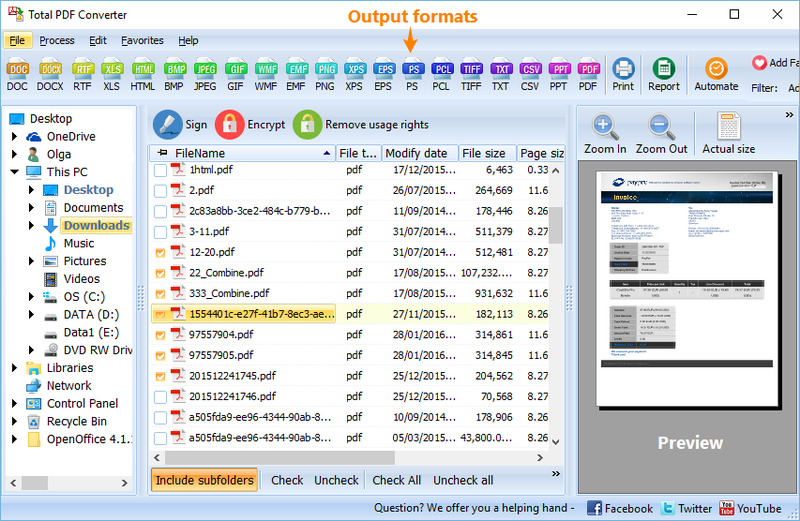 Total PDF Converter allows to convert specific PDF content separately. There are three items to render: text, shape and image. For example, you can extract single text from the PDF file, if check only ‘Text’ item. You can check them separately or together, depending on what exactly you want to see in future HTML copies. This PDF – HTML converter also allows to convert every page of multi-page PDF document into separate HTML file. To this the only thing you need is to check the item ‘Every page to separate file’ in ‘Render’ options inlay. In this case all PDF pages will be transformed into separate HTML files, stored in the folder you specified in ‘Select destination’ options inlay. 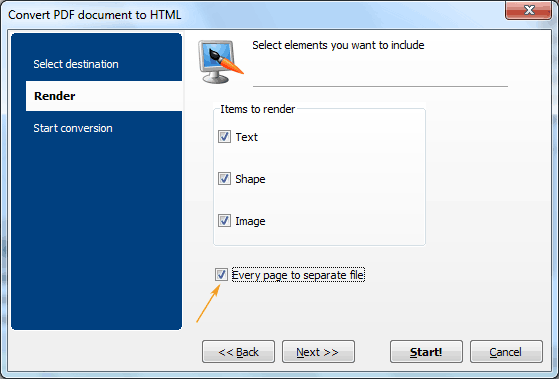 The name of HTML copies will be the same as the source file name with number of page added. If you need to process lots of PDF files and want to automate this process, Total PDF Converter is your best helper. It can convert any number of PDF files in one operation. You can select as many sources as you want and convert all of them within a few clicks. 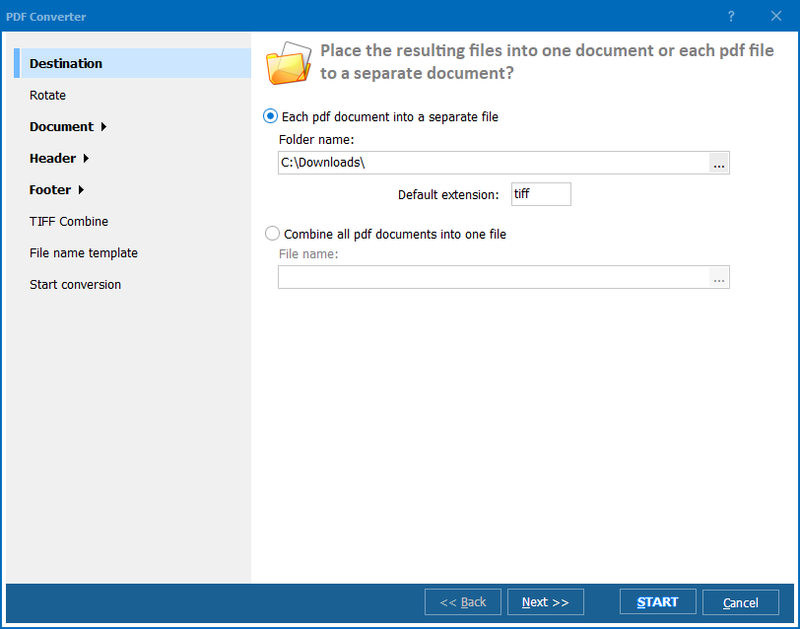 Buy Total PDF Converter online – it is already available for the purchase!